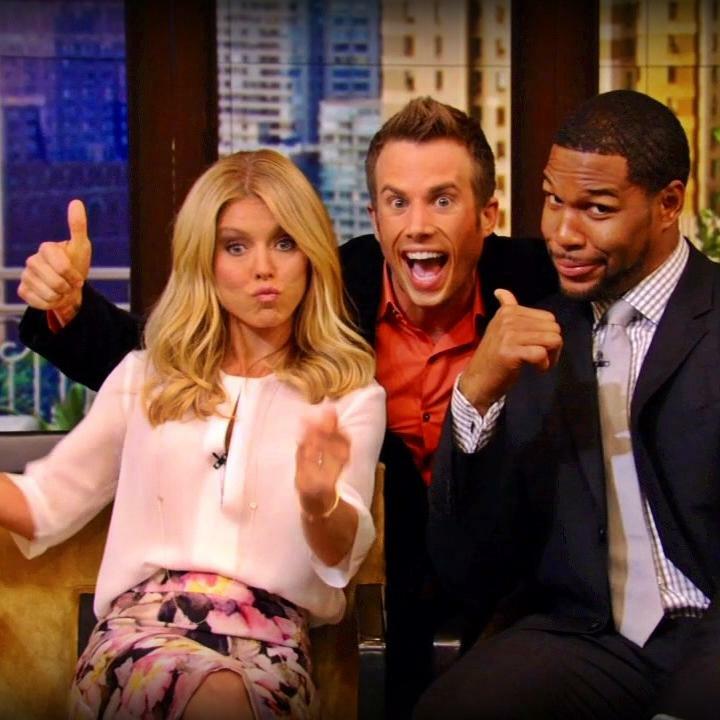 From his can’t stand still intensity to his knack for creating engaging live television, Ryan Leckey is known for doing untraditional TV. Ryan, who Pennsylvania viewers often call ‘The Leckenator,’ is known for his energetic story telling of breaking news to his iconic interviews with television legends such as Regis Philbin, Barbara Walters, and even past presidents such as Bill Clinton. The self-proclaimed social media addict got his start in television right out of high school when he was 18 at WJAC-TV (NBC) in Johnstown, Pennsylvania. The same station he used to visit as middle schooler when he would pitch teen segment ideas to the general manager. While working in his hometown, Ryan began behind the scenes…learning how to execute a newscast before moving to the news department a short time later. There, Ryan worked primarily as a one-man-band which involved shooting, writing, and editing his own stories. While at WJAC, Ryan solo anchored his first newscast at 19 and before leaving the station in 2005, he had reported, anchored, and filled-in on the weather segments. All…while earning his bachelor’s degree in Communications at the University of Pittsburgh at Johnstown. In 2005, Ryan accepted a reporter position at WNEP-TV, one of America’s highest rated television stations. The News Station is based near Scranton, PA. In the beginning, Ryan worked mornings and weekends for two years before moving to Monday thru Friday where he became one of the familiar faces on Newswatch 16 This Morning. Not only did Ryan become a regular personality, he also implemented and still produces his own segment called “Leckey Live,” thanks in part to a lot of professional leeway from his bosses and fellow morning team members. The almost daily television spot highlights community causes and special projects and have included: “Leckey’s Look at The View,” “Leckey’s Look at Live! With Regis and Kelly” and “Leckey’s Look at “The Chew,” which gave viewers an all access pass to the ABC daytime talk shows and in-depth interviews with the hosts. Ryan’s other well known projects include: “One-On-One With Diane Sawyer,” “Body Language Blunders,” “Fight Fat This Fall,” & “Slim Down For Summer,” which helped viewers shed the pounds through an interactive multi-media format. One of Ryan’s biggest accomplishments while living and working in Northeastern & Central Pennsylvania include the “Ryan’s Run” campaign. On top of running in the I-N-G New York City Marathon, Ryan, along with WNEP-TV viewers helped raise more than $120,000 in less than two months for kids with disabilities at Allied Services Pediatric Program. The NYC Marathon later named “Ryan’s Run,” as a Bronze Charity because of the significant amount of money it raised in such a short amount of time. The Bronze Charity status put the campaign on the same world stage as the Michael J. Fox & the Christopher & Dana Reeve Foundations. The second year for “Ryan’s Run” in the fall of 2011, nearly doubled the first amount as Team Leckey raised more than $230,000.00! In November 2011, Ryan was presented with the “Outstanding Young Pennsylvanian” award by the commonwealth’s Jaycees organization for his dedication to so many charitable causes. His other achievements include an Emmy Nomination for his Spot News coverage during record flooding in the Spring of 2011. Ryan also contributed to an Emmy Nominated Newscast years prior. He provided multiple live reports from a shutdown highway during the infamous Valentine’s Day Snowstorm of 2007. Ryan was stranded on the highway for 17 hours alongside hundreds of motorists. In both 2010 & 2011, Ryan was voted “Best Local TV Personality” & “Best Local Celebrity” by Electric City Magazine. His other accomplishments involve earning a Master’s Degree from Marywood University in Communication Arts with a Concentration in Media Management. Marywood is where Ryan taught courses in Media Performance and Broadcast News Writing. When he’s not on the air or in the classroom, ‘The Leckenator’ is usually either hosting community events, working out at his local CrossFit gym, or jamming on the guitar and singing with friends. To date, Ryan has written/recorded several original songs and released his first album “Just Getting Started…” on January 13, 2012. You can hear them on the music page here at www.ryanleckey.com.